Heat oil in skillet set over medium-high heat; cook beef, breaking up with a spoon, for 8 to 10 minutes or until browned and cooked. Stir in tomato sauce; simmer for about 5 minutes or until slightly thickened. Transfer to 8-inch square baking dish. Spread ricotta over beef mixture; sprinkle with mozzarella cheese. Bake for about 15 minutes or until heated through and bubbling. Sprinkle parsley over top. Meat lovers can substitute 2 cups of Bolognese sauce for tomato sauce if desired. 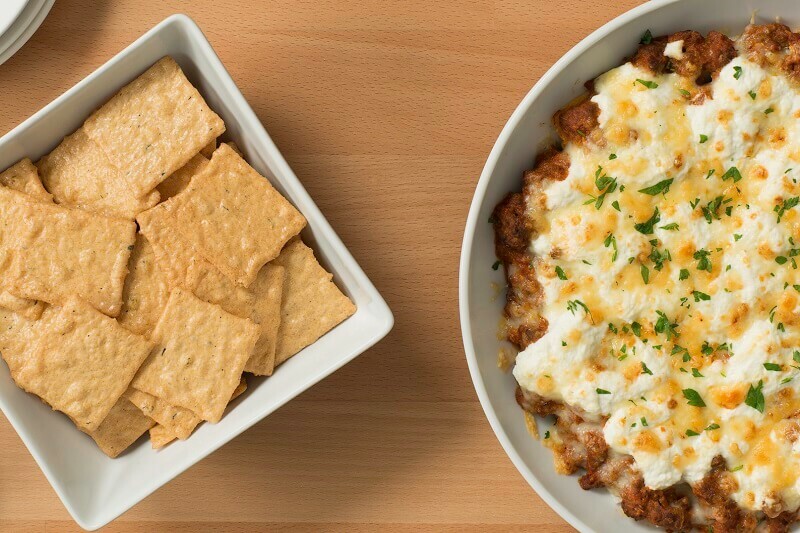 Make-ahead: Dip can be prepared and refrigerated for up to 1 day. Add 10 to 15 minutes to heating time.